This movie asks, when is violence ever justified? And it makes us wary of labels like terrorism. 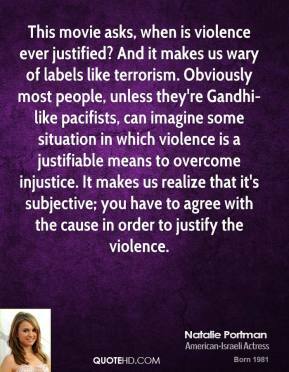 Obviously most people, unless they're Gandhi-like pacifists, can imagine some situation in which violence is a justifiable means to overcome injustice. It makes us realize that it's subjective; you have to agree with the cause in order to justify the violence. 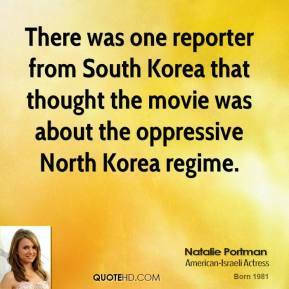 There was one reporter from South Korea that thought the movie was about the oppressive North Korea regime. [If people walk out feeling emotional about the movie,] that would be enough for me, ... 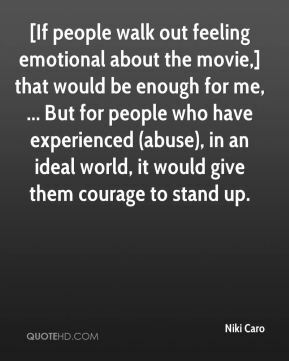 But for people who have experienced (abuse), in an ideal world, it would give them courage to stand up. 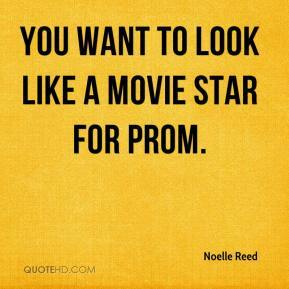 You want to look like a movie star for prom. 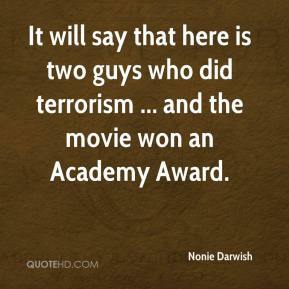 It will say that here is two guys who did terrorism ... and the movie won an Academy Award. William Thacker: 'I enjoyed the movie very much. I was just wondering, did you ever consider having more horses in it?' 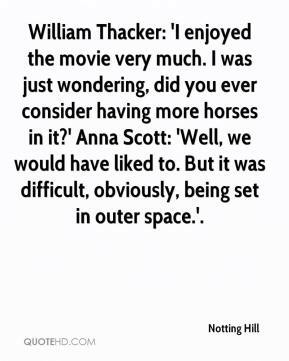 Anna Scott: 'Well, we would have liked to. But it was difficult, obviously, being set in outer space.'. 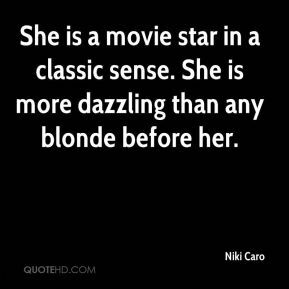 She is a movie star in a classic sense. She is more dazzling than any blonde before her. 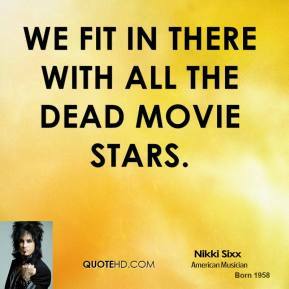 We fit in there with all the dead movie stars. 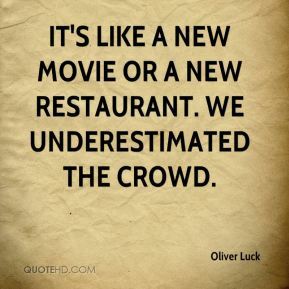 It's like a new movie or a new restaurant. We underestimated the crowd. 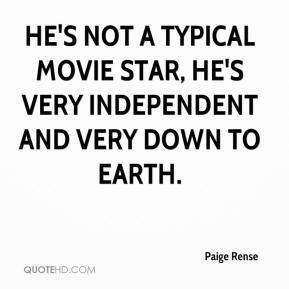 He's not a typical movie star, he's very independent and very down to earth. 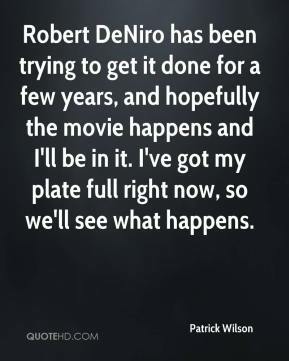 Robert DeNiro has been trying to get it done for a few years, and hopefully the movie happens and I'll be in it. I've got my plate full right now, so we'll see what happens. 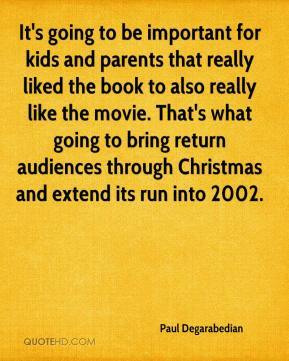 It's going to be important for kids and parents that really liked the book to also really like the movie. That's what going to bring return audiences through Christmas and extend its run into 2002. The movie 'Above and Beyond' starring Robert Taylor didn't get anything right, ... 'Above and Beyond' script writers put the words, 'Oh my God, what have we done?' into my mouth,' Tibbets said. 'I never said that. 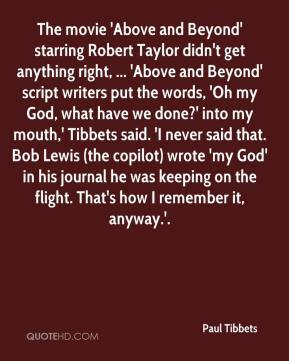 Bob Lewis (the copilot) wrote 'my God' in his journal he was keeping on the flight. That's how I remember it, anyway.'. Nobody leaves this movie unscathed. 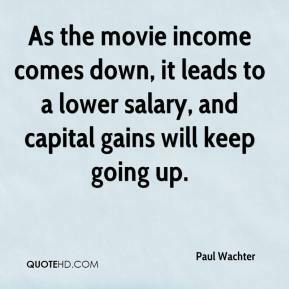 As the movie income comes down, it leads to a lower salary, and capital gains will keep going up. The movie examines the role of dreams and ambitions in American culture. It's about what's wrong with America and how close it is to what's right with America. 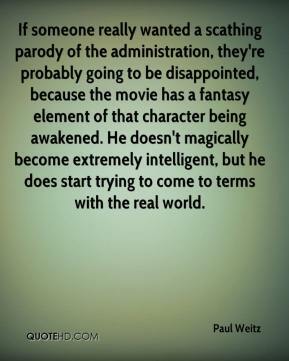 If someone really wanted a scathing parody of the administration, they're probably going to be disappointed, because the movie has a fantasy element of that character being awakened. He doesn't magically become extremely intelligent, but he does start trying to come to terms with the real world. One of the things she [Lansing] said over and over is that a good story makes a good movie. 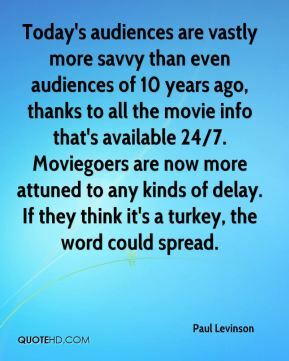 Today's audiences are vastly more savvy than even audiences of 10 years ago, thanks to all the movie info that's available 24/7. Moviegoers are now more attuned to any kinds of delay. If they think it's a turkey, the word could spread. 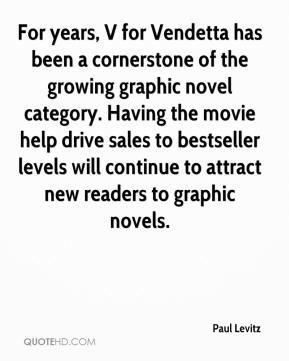 For years, V for Vendetta has been a cornerstone of the growing graphic novel category. Having the movie help drive sales to bestseller levels will continue to attract new readers to graphic novels. 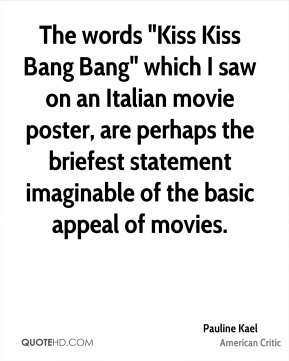 The words "Kiss Kiss Bang Bang" which I saw on an Italian movie poster, are perhaps the briefest statement imaginable of the basic appeal of movies. 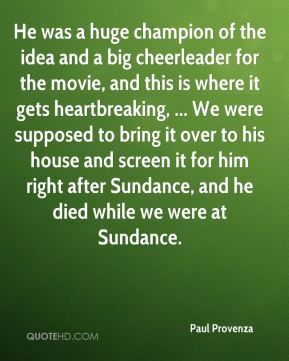 He was a huge champion of the idea and a big cheerleader for the movie, and this is where it gets heartbreaking, ... We were supposed to bring it over to his house and screen it for him right after Sundance, and he died while we were at Sundance. 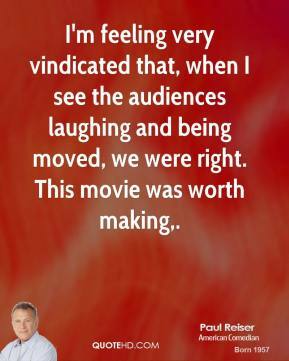 I'm feeling very vindicated that, when I see the audiences laughing and being moved, we were right. This movie was worth making. Any issues my parents went through are very prominent in the movie, even though they enjoyed a happy relationship, ... The story actually started for me when my mom told me a few years ago that because she got a job, she never made it to the World's Fair in New York, and that's a missed opportunity that always stayed with her.